I technically finished this book at the very beginning of the month but I still wanted to talk about it! It was a long, detailed, but fantastic read that I'm so happy I stuck through. I wrote a more detailed post a few weeks back but I just wanted to throw it out there that if you're thinking about reading this book, you should. After reading the Goldfinch my brain needed a break so I turned to a young reader's book that has been sitting on my shelf since Christmas. As usual I was initially drawn to and excited about the cover but I quickly discovered how great of a read it is. Counting by 7s follows the story of young genius, Willow Chance, as she quickly must learn to adapt to a new life after her adoptive parents experience a tragic accident. This book is unexpectedly funny, sweet and endearing and what I think is a must read for all ages. I love this show! It is just what I needed to get out of my 'Parks & Rec. is over' slump. This show is hilarious, has great characters and just makes you feel good. My only disappointment with it is that there is only one season up on Netflix and I finished it before I was ready! Now I'm in an 'Unbreakable needs another season' slump. Though, that can easily be overcome by listening to the theme song over and over again. I saw this at Hot Docs this past week and it definitely was one of the best films I've seen this year. It's a documentary following a South Korean couple who have been together for 75 years! They're a beautiful pair that appreciate simplicity, small acts of kindness and just being together. Definitely see it if you have the chance - but be sure to bring a lifetime supply of tissues for the tears you're bound to shed. There are also a few days of Hot Docs left and you should go see all the movies! Free for students and seniors before 5pm! So many beautiful films! I took two art classes this month. 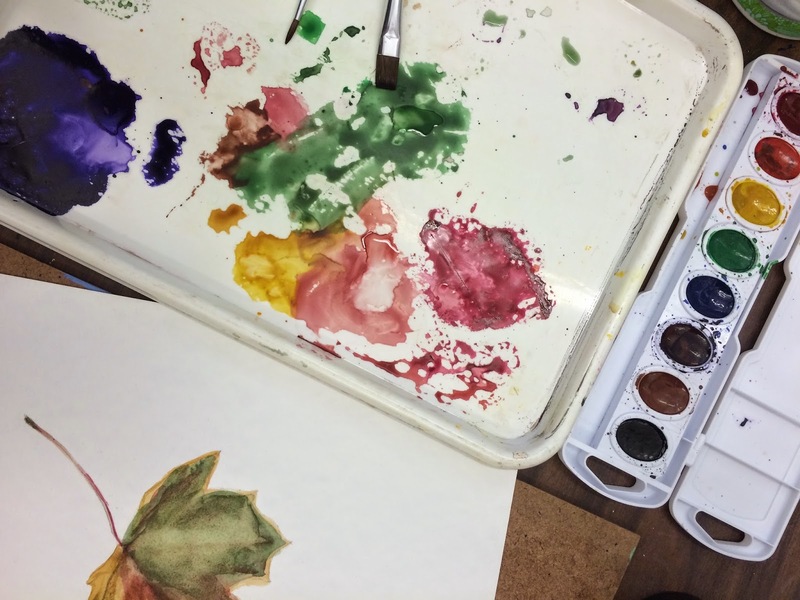 The first one I took was a beginners painting class where we created two pieces - one watercolour and one acrylics. The second one was a clay class where I made two clay bowls. Both were so much fun. It was great to be trying something new and feeling creative. I'm definitely going to check out some more over the summer! When I tell people I don't eat meat they're always suddenly concerned with my eating habits and especially how I get protein. Everyone becomes a nutritionist. I mean I'm not the only vegetarian out there, I'm not doing anything crazy. I even eat eggs and dairy products still so why the sudden concern? Who knows. Anyways that being said I have recently discovered hemp seeds and they are the best. I add them to granola, oatmeal, cereal, nut butter toast, yogurt - anything really. They taste great, are easy to digest and are another protein source I can tell concerned carnivores about. I'm a natural worrier. I get anxious about the smallest details, sometimes my nerves just take over and I can't shut my brain off - resulting in many lost hours of much needed sleep! As someone who prefers to take the natural remedy route I recently tried Sleepytime Tea by Celestial Seasonings and am obsessed. A hot cup of this has become a crucial part of my night time routine and I'm happy to say I'm sleeping better because of it! Also George came for a surprise Easter visit and that was pretty great. Banana bread is one of my favourite things to bake. It's simple, quick, and makes the house smell wonderful. It's also so easy to adjust the flavour by adding in different mix-ins - chocolate chips, walnuts, coconut, berries - the possibilities are endless! I whipped this loaf up last week when I was craving something sweet. I changed up my original recipe (found here) with the addition of whole wheat flour. It makes the loaf slightly more dense but even more hearty. Banana bread is perfect addition to a rainy day like today when you really want to up your coziness levels. Preheat oven to 350 F. Lightly grease a loaf pan and line with parchment paper. Cream together the butter and white and brown sugars until fluffy. Beat in the eggs and vanilla until well mixed. Stir in the mashed banana until combined. In a separate bowl whisk together the white and whole wheat flour, baking soda, baking powder and salt. Gradually add the flour mixture into the banana mixture and mix until fully incorporated. Stir in the chocolate chips. Pour the batter into the loaf pan and spread evenly. Sprinkle a few chocolate chips on top. Bake for 55 minutes to an hour, or until a toothpick comes out clean after inserted. Allow to cool for at least 10 minutes before serving. 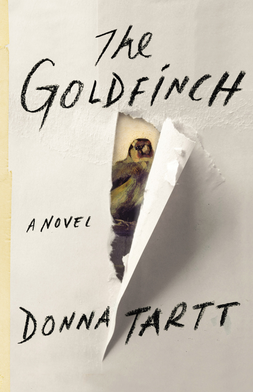 My sixth completed read for my 25-book pledge was The Goldfinch by Donna Tartt. The Goldfinch is the story of thirteen year old Theo who after being abandoned by his father and losing his mother in a tragic accident, begins a life of crime and moving through dangerous circles. I was intimidated by this book. Though friends have told me how great it is, and I've read so many rave reviews online, this book made me nervous. First of all it was 800 pages long - not exactly a quick weekend read, and second the cover is so boring. Okay yes I know, those are two very superficial judgements but I don't care, I always judge a book by it's cover - this one didn't do it for me. That being said, I finished this book over a week ago and I only now feel (mostly) settled with it. Though I was racing to finish it before due back at the library, it was so dense and detailed that I needed to give my full attention and soak up every word on every page. What resulted when I turned the last page and closed the cover, was a feeling I have never felt from a book before. So much was said and had happened that I needed to take the time to let it all soak in before I could fully express my thoughts on it. Needless to say, I love The Goldfinch. It is unlike any book I have read before. What initially seems like a relatively simple storyline unfolds into a series of unexpected characters and events. My feelings towards the characters changed with every chapter. There was not a single character that I consistently loved or hated, not even the protagonist! The Goldfinch is not a book to read lightly. It is a heavy, whirlwind of emotions - and probably my favourite book of 2015 thus far. We got a new food processor and boy is it beautiful! Beautiful and oh so sharp. As amazed as I was with the case full of blades it came with I quickly learned that this machine could be my enemy. My first attempt at making hummus with our new kitchen toy resulted in no hummus, but a couple band aids - all is well! 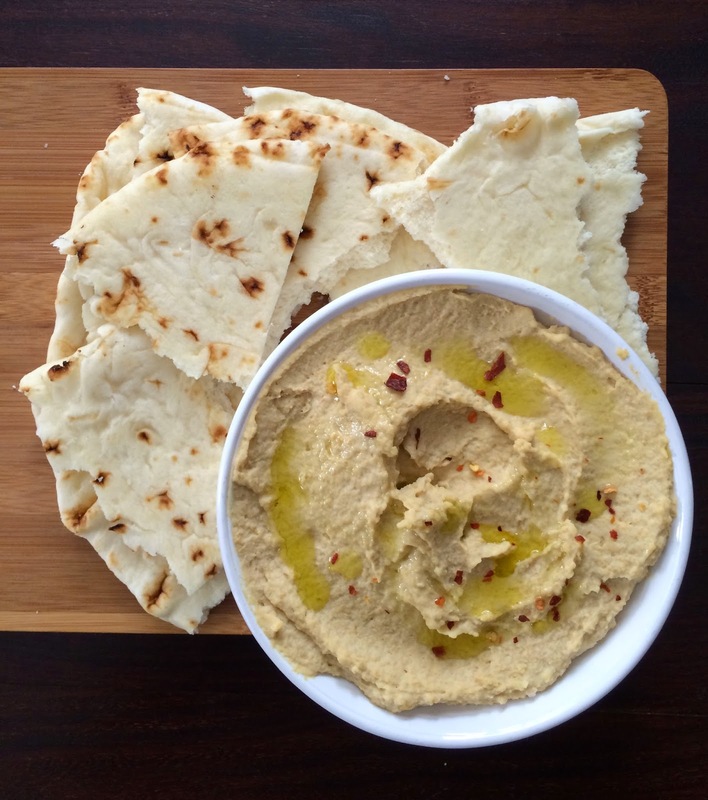 I quickly got over it and tried again and now I am a homemade hummus convert. I looked through a few recipes to get the basic idea of what to put in. It is really so easy, and it makes a tonne! Hummus for days!! Add the garlic to the food processor and mince. Add in all the ingredients and process until smooth, or desired consistency. That's all you do! To serve drizzle with olive oil and a sprinkle of crushed red pepper flakes.